Your website is the amalgamation of your blood, sweat, and tears. We know the countless hours of hard work and dedication that you put into content creation and design. However, like it or not, all that can vanish in the blink of an eye. If your site has multiple users in the backend, then someone might mistakenly tamper with the settings and make everything go haywire. A specific plugin or theme can also be the culprit. Alternatively, worst of all, your site might become the victim of potential hacking. Even though all of these are dire situations that might make you want to cry or reap out your hair follicles, the extreme emotional responses can be avoided. If you have a working state of your website backed up, then all you have to do is restore it, and your site will return to its former usual self. Now, if you go and search for a backup plugin for WordPress, then you will get overwhelmed with all the options and choices. There are hundreds and thousands of WordPress backup plugins in the market. So which one is best for you? Well, there is no need to get stuck in this paralysis of choice as we have researched for you. 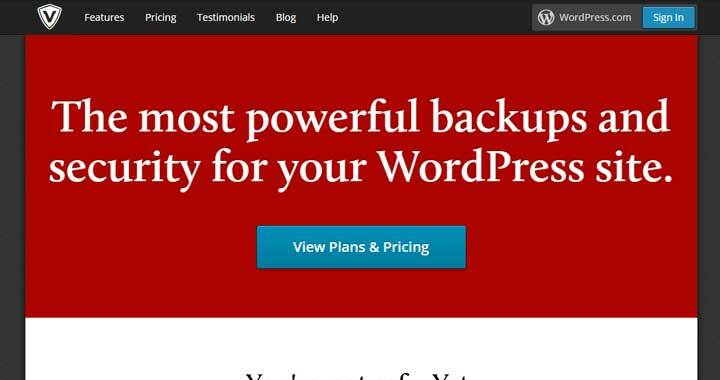 In this article, we have put together a list of the best WordPress backup plugins. Much focus has been given to keep the list as diverse as possible. You will find something that suits your requirements. Also, there is a good mix of free and premium plugins. So your budget will also not be a hindrance. UpdraftPlus is the most popular WordPress backup plugin with over a million active installations. It is a freemium plugin which means you will be able to use it for free but to access advanced features; you will need to upgrade to its paid version. However, the free version itself is entirely efficient for taking proper (and most important regular) backups your WordPress website. One of the best features of UPdraftPlus would be its compatibility with almost all cloud storage services starting from Google Drive and Dropbox, to Amazon S3 Microsoft Azure, and much more. Furthermore, you can keep backups to more than one cloud storage for extra precaution. And all this is available with the free version itself. You also get the option for automated scheduled backups, so you don’t need to worry about it. However, if you choose to go premium, then you will get advanced functionalities such as easy site duplication or migration with Migrator. You can also configure the plugin to back up non-WP files to databases on multiple remote destinations. Moreover, best of all, you get dedicated expert support to guide you through times of distress. VaultPress is a backup and security plugin for WordPress. With the plugin installed on your WordPress website, you will get the benefits of real-time backups and security scanning services. It can keep your site safe from hackers, hosting failures, viruses, user errors, malware, and even exploitation. The plugin is powered by Jetpack which allows you to effortlessly take backups of your posts, comments, media files, revisions, dashboard settings, and much more. All the backups are safely tucked away in the company’s servers. The features that you will get with the plugin includes the option to take Automatic Backups, Make Site Migrations, Automatic File Repairing, File Scanning, and Spam Defense, among many others. This also has a freemium plan. The most basic features are available for free, but more advanced and pricy options are available for personal or business use. Duplicator is one of the most popular migration plugins for WordPress but can help you take backups of your website. The basic functionality of the plugin is to make copies of your website data and help move it. It can also help you to clone a site from location to another location. All these are managed by taking backups – which is the functionality we are interested in. 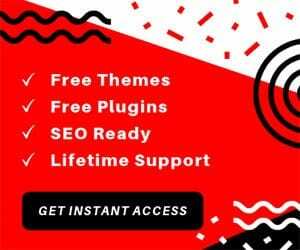 This WordPress backup plugin works by creating a simple zip file containing all your site’s plugins, themes, content, database, and even WordPress files. This zip file is called a package. You can then easily migrate this zip file to different locations – be it on the same server, or a different server. Now, by default, the backups are set to be taken manually. However, there is an option to schedule the backups if you like. Also, it is compatible with many of the popular cloud storage systems, and backups can be transferred to them directly. 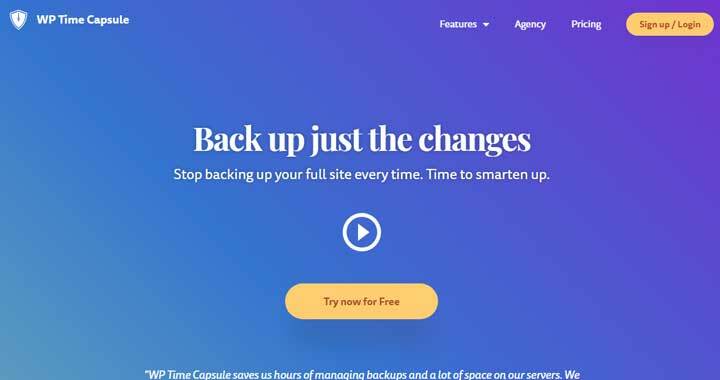 WP Time Capsule WordPress plugin has been developed with the sole intention of protecting your websites from problems that come with buggy updates. 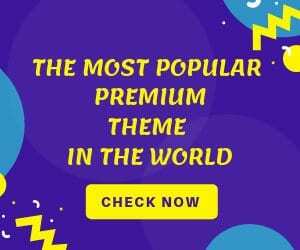 You will have to update your WordPress themes and plugins to ensure they don’t get outdated and become more prone to hacking. However, in doing so, you might install a buggy patch which will create problems for your website. Now with this plugin installed on your website, all such problems can be avoided. The backup process is handled by the cloud app’s native file versioning system which detects changes and only backs up the changed files and Database entries. All the backed up files are then saved in a cloud storage app like Dropbox, Google Drive, or Amazon S3. In case of any problem, you can retrieve the backups which will restore all the plugins to its previous reliable version and solve the problem on your website. With the first install, you will have to take the first manual back up of your entire site. After that, you can schedule when the backups should be taken; it will be handled automatically. Another popular backup plugin for WordPress would be Akeeba Backup. It can help you back up, restore and even transfer your WordPress blog/website in seconds. However, the key selling point of the plugin is because of the extra level of control it gives over all your backup files. Notable features that you get with this WordPress backup plugin includes the option for one-click backup. Of course, you can set the plugin to take automatic backups as well. You will also get to set the format of the backup file. You will get to use either ZIP archives, or optimized JPA archives, and even the secure AES-128 JPS archives. All the backups are saved directly to the cloud. The service is compatible with Amazon S3, DropBox, and many others. Overall, it is a fantastic plugin to get complete control over how you wish to back up your WordPress website. BackWPup is among the more easier to use backup plugins for WordPress. It doesn’t over complicate things with too many options. You just install it on your website, set it up, and become stress-free as it will automatically handle everything else. It will take save your complete installation along with /wp-content/ and keep it to an external backup service for safe keeping. Every backup is made into a single .zip file. This makes it super simple when you want to restore your WP installation. 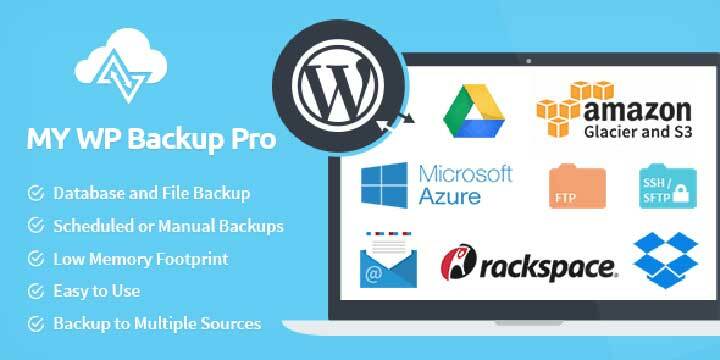 Some of the features that you will get with this WordPress backup plugin include the option for database backups, WordPress XML exports, database optimization, option to check and repair database, file backups, and much more. All these are available with the free version itself. There is also a pro version with which you get advanced options like encrypted backup archives, support for more secure cloud storage services, and so on. You may have guessed from the name, WP-DB -Backup helps users to take backups of their core WordPress database tables. You also have the option to backup other tables in the same database. This WordPress backup plugin will look for database tables automatically by default. You can also involve yourself by manually including or excluding other tables. After the tables have been selected, you will get the option to either download the backup files or email it to a configured email address. There is no support for any cloud storage services. It is worth noting that if you choose to email the backup file, make sure it isn’t too big. Otherwise, you might not be able to send it. BackUPWordPress is a free to use, a simple backup plugin for WordPress websites. It was available as a free plugin with essential functionalities, and you were required to download paid add-ons for including extra features. However, currently all the add-ons have been discontinued, and you get to play with the free offering. With that being said, the free version does offer some distinct features and functionalities which are worth looking into. First and foremost, you can set multiple schedules for backups, and also configure them to be emailed to you. On top of that, there is the option to use mysqldump for taking faster backups. In general, the backups made with the plugin consume shallow memory. This is especially good if your site is hosted in a shared hosting environment. XCloner is a dedicated backup and restores plugin for your WordPress website. With the plugin installed, you will be able to take complete or differential backups of your entire WordPress website. There is a built-in scheduler which allows you to automate the whole backing up process. However, if you like, you can do it manually as well. The critical feature of the plugin includes the option to create custom backups of any WordPress website by using custom admin inputs. It also comes with its automatic restore script which you can use to restore the backup to any location you like. All the backups are made using Open Source standards like TAR, MySQL, and CSV formats. BlogVault is amongst the most reliable backup plugins in the WordPress marketplace. After installing and activating the plugin, it will automatically start taking an incremental database and file backups. All the backup files then get stored in BlogVault servers and on Amazon S3. The backup plugin for WordPress is also suitable for taking backups for your WooCommerce enabled online stores. Moreover, if that isn’t enough, the plugin will also help out by providing malware scanning and malware removal services. Furthermore, it is in this context that it is worth noting that BlogVault is a free plugin. Other famous use cases of the plugin would be to help you with site migrations, dedicated staging, site copying, and so on. For restores and migration purposes, the plugin makes use of FTP, SFTP, or FTPS. 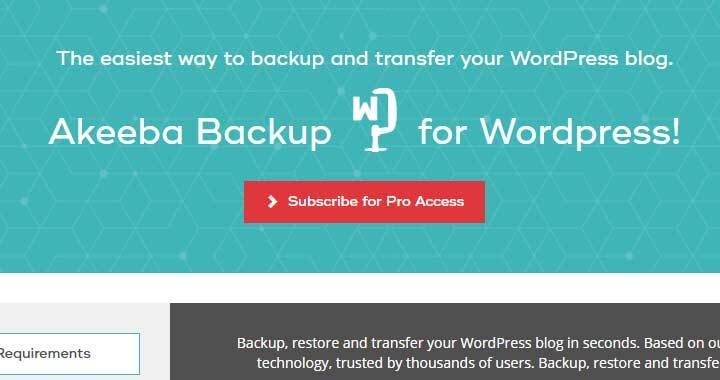 My WP BackUp Pro is a freemium backup plugin for WordPress which offers a fast, efficient, and most importantly secure way to back up your WordPress website. It is also very much beginner friendly and comes with a dedicated walkthrough, to make you familiar with all plugins features and how they work. Some of the key functionalities that you get with the plugin include WP-CLI integration which allows you to execute jobs directly from the command line. There is also the flexibility to take complete or differential backups of your website. Moreover, to help you make the backup files small and manageable, there is the option to split the backups into smaller volumes. Besides this, you get all the basic functionalities such as manual or automatic backups, ability to store the backup files on an array of different cloud storage services, an option to email the reserves, and much more. Any Other Backup Plugins for WordPress? So these were our picks for the top and best WordPress backup plugins. Do let us know if you found the read to be helpful. Moreover, don’t forget it to your friends and colleagues, who have been running their WordPress website without any backup measures. Also, if you have used any of the plugins we have mentioned here on the list, then write about your experience using it in the comments section below. It will benefit your fellow readers to get some real-life testimonials on these plugins.